The Winter 2017 edition of the PPN newsletter is now available to view on our website corkcountyppn.com under News& Events. The Minister for Rural and Community Development, Mr. Michael Ring T.D., is seeking submissions in respect of the Government’s new Public Library Strategy 2018-2022. The new Strategy will underpin the continued development of the public library system over the next five years and position the public library at the centre of the community, meeting the information, learning and cultural needs of individuals and communities. The new Strategy is being developed by the Department of Rural and Community Development, the Local Government Management Agency and Local Authorities. Copies of these documents may also be obtained by contacting the Libraries Development& Community Policy Unit, Department of Rural and Community Development at (096) 24258 or by email to libstrategyreview@drcd.gov.ie or at your local library. Submissions can be made to the Department online at www.drcd.gov.ie/librarystrategy by email to libstrategyreview@drcd.gov.ie or in writing to Libraries Development and Community Policy, Department of Rural and Community Development, Government Offices, Ballina, Co. Mayo, F26 E8N6. Closing date for receipt of submissions: 1st February 2018. Cork County Council has been named Local Authority of the Year by Public Sector Magazine Award. The Council has received recognition for a number of programmes, including services to community through the Living Space Project, services to roads through a number of road safety initiatives and the heritage services award for promoting and protecting Cork’s archaeological and heritage landscape. One of the Council’s most successful initiatives this year was the establishment of the Living Space Project in Mallow. Featuring a number of free summer arts and entertainment events which brought public spaces to life, the Living Space Project culminated with the ‘Picnic in the Castle’, taking place in the newly refurbished grounds of the Council’s Mallow Castle. Historic buildings, as well as Cork’s heritage are of enormous value to the Council’s Heritage Office. 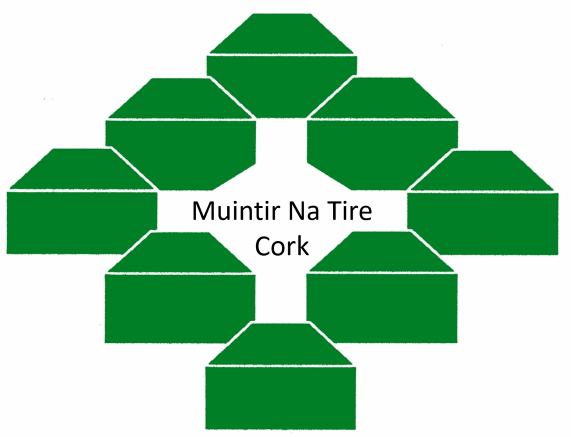 From coordinating grant schemes and national weeks, such as Biodiversity Week, Tree week and Heritage Week, to providing regular heritage updates, the Council’s Heritage Office is driven with an ethos of ‘by valuing the past we value the future.’ Cork County Council works with a number of partners in order to achieve this level of success, from local community groups and organisations to state bodies and the Heritage Council. Collaborative working is vital to a successful local authority. Together with the Road Safety Authority, Cork County Council has created a number of road safety themed initiatives while the Council’s Safety Development Officer visits primary and pre-schools to drive the message of safety. The Road Safety Short Story Competition received over 400 entries while the Council’s Cycle Safety Code booklet is distributed directly to schools with availability through Council libraries, swimming pools and public offices and at specially organised safety events in the form of bookmarks and cycle helmet stickers. Heritage Castles of County Cork, the latest publication in the nationally recognised Heritage of County Cork Publication Series, supported by the Heritage Council – has just been completed and will hit the bookshops shortly. Castles are a very strong part of County Cork’s heritage, and not surprisingly so, when we learn that there were 346 recorded castles recorded in the County. Of these 184 remain identifiable in the field and a further 162 are known from early maps or other documentary sources, but have not survived. The publication gives an overview of the wide range of castle types that are to be found in the County, also detailing, how castles would have functioned in society, the family names synonymous with the main castles, what life was like in County Cork during medieval times and why indeed castles eventually went into decline towards the end of the 17th century. The book is arranged in chronological order, starting with the castles of the Anglo-Normans (including a brief look at earthwork castles), then moving on to the later medieval tower houses, then the fortified houses of the late sixteenth and seventeenth centuries. Typical architectural and archaeological features are also presented to give a reader a great insight into castle construction and development and some fascinating featured examples from across the County are also provided, the majority of which can be visited today, free of charge. One of the main strengths of the book, and indeed of the Heritage of County Cork Series as a whole, is the fantastic involvement of community groups, organisations and individuals, by recommending numerous castles for inclusion and providing wonderful photographs, accounts and local tales. As a result, the publication contains a wealth of information and is expertly written with thanks to Eamonn Cotter – another proud publication by Cork County Council’s Heritage Unit and hopefully another publication that will be well received by people in the County of Cork and further afield. The €56 million allocation for the 2017 Sports Capital Programme will provide a much needed boost for more than 1,700 clubs and sporting groups around the country who are set to receive the grants. Clann Credo congratulates all the named recipients of the Sports Capital Grants and can help clubs to boost the benefits of their grants with Community Loan Finance. Clann Credo is launching a €10 M Community Sports Loan Fund which will offer clubs and sporting groups finance at affordable rates. Many sports clubs find it difficult to access loans on reasonable terms and volunteers are often asked to give personal guarantees or even asked to borrow in their own name. Clann Credo considers the impact your project will have on the community and volunteers are never asked to guarantee a club’s loan. Clann Credo has already loaned over €10 million to more than 100 amateur sports clubs around the country, providing better facilities, better clubhouses, better training facilities and better equipment. Some of the sports Clann Credo has funded include: GAA; Judo; Soccer; Watersports; Archery; Baseball; Gymnastics and community field sports. Creativity & Change Nurturing Change-Makers, Imagining a Better World. Creativity & Change's Master classes target educators in formal or non-formal learning settings, change-makers, artists, community workers, youth-workers, activists, volunteers or anyone who has an interest in supporting learning and initiating projects to engage people in transformative learning and active global citizenship. For 2018 we have an exciting line up of workshops and facilitators to support you to engage others creatively with Global citizenship and justice themes. There is a wide range of learning opportunities, including learning about visual facilitation, a Theatre workshop, a workshop about applying design thinking to learning processes and to solving real world problems, a practical street art workshop, an ‘Open Space’ meeting and an exploration about bringing creativity to the spaces we utilise as learning spaces.. Youth workers, arts facilitators activists, tutors and anyone who engages young people in non-formal learning processes who - is passionate about nurturing young, connected and active global. citizens - want to develop more skills in the use of IT and digital media in their work. Nurturing Competences of Global citizens in youth work practices -Creating and sharing Digital content to support young people in Active global Citizenship -The challenges posed by digital and social media. • To engage with themes of global citizenship. You can apply to participate at this link.